Catholic liturgy is celebrated in Ethiopia both in the Ge’ez (or Ethiopian) rite and the Latin rite. 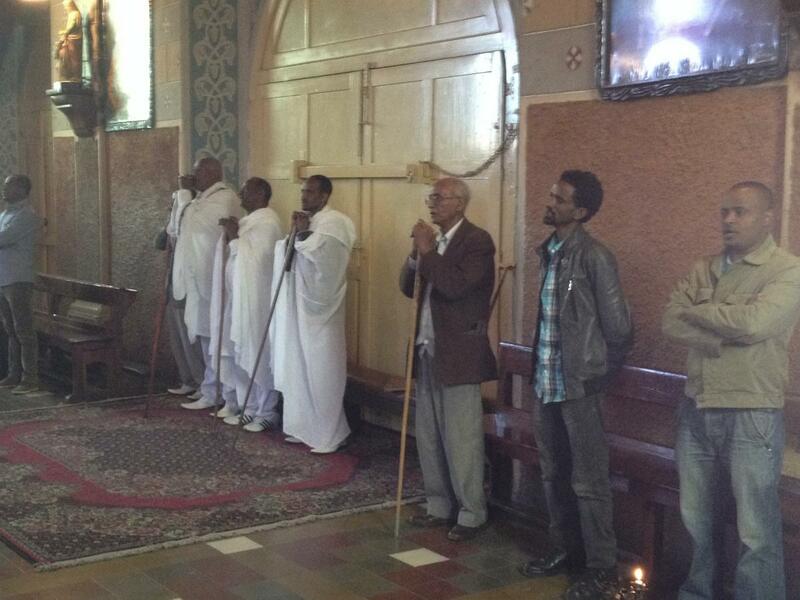 Whereas in some countries there are parallel Latin and Uniate Catholic hierarchies and distinctive churches for each liturgical rite, Ethiopia is home to a single Catholic Church and clergy that celebrate both liturgies. Ge'ez is an ancient court language from the period when Ethiopia first adopted Christianity. It carried down as the liturgical language even as it fell out of use otherwise, and is regarded with pride as a symbol of the ancientness and rootedness of the faith in Ethiopia. Much like Latin in the west, many lay people do not understand the language, so a number of parts, like the readings, are in local languages like Amharic. The Catholic Ge'ez rite is an adaptation of Orthodox Ge'ez rite. In important ways, the liturgy reflects and transmits some key Ethiopian values, such as patience, deference, humility and modesty. These attributes are readily visible in the postures of worshippers.